The Yellowstone caldera is ranked the 21st most dangerous volcano in the United States according to the most recent U.S. Geological Volcanic Threat Assessment. That's out of 161 volcanos. Michael Poland is the scientist-in-charge at the Yellowstone Volcano Observatory. He said the survey takes into account proximity to people and how often a volcano erupts. "So, by combining the Hazards Index--basically what the volcano does and how frequently it does it--to the Exposure Index, which is the human population or human impact, that's what gives you your threat score and that's how the volcanos are ultimately ranked." The survey also takes into account volcanos that have erupted during the Holocene era, which is considered recent geological time, 11,650 years ago up to the present day. 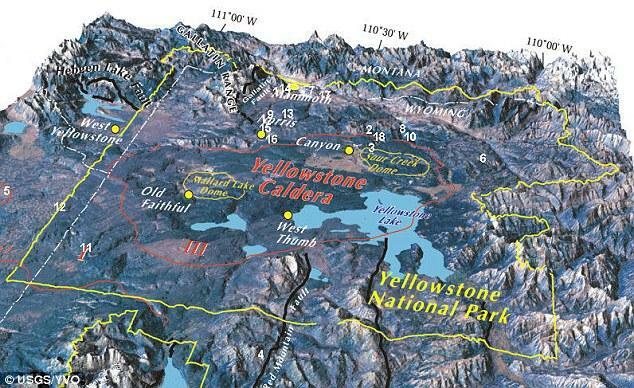 While Yellowstone has not erupted for 70,000 years, the super volcano was included in the survey because of its size. How big is it compared to others? Poland said there are two other fairly inactive calderas on the list in California and New Mexico. "Because it shows these signs of unrest, seismicity, and ground deformation, and gas emissions that were the criteria for including Yellowstone and also Long Valley and Valles caldera on the list." And in 2005, the Yellowstone caldera was also ranked 21st. The volcano has shown no drastic changes since then. The Volcanic Threat Assessment was created to mitigate risk and help with emergency procedures. The survey helps inform preparation for potential hazards caused by volcanic activity and helps informs the National Volcano Early Warning System. Last week, numerous Native American tribes from around the Rocky Mountain region joined with bison conservation groups in Boulder, Colorado for the first ever Tribal Bison Summit. Part of the event was a drumming ceremony celebrating National Bison Day, said Eastern Shoshone member Jason Baldes. He was recently hired by the National Wildlife Federation to serve as the tribal buffalo coordinator. In September, Ear Spring Geyser in Yellowstone National Park erupted. At 20 feet, it was the largest eruption in over 60 years. But it wasn't just water that spewed out.